Recently, while walking alone through the village churchyard, I came across a scattering of hearts left on the ground after a wedding. I snapped a photograph deciding that these hearts must have been tossed at the bride and groom as they made their way up the path past friends and family who had gathered to witness and celebrate their commitment. 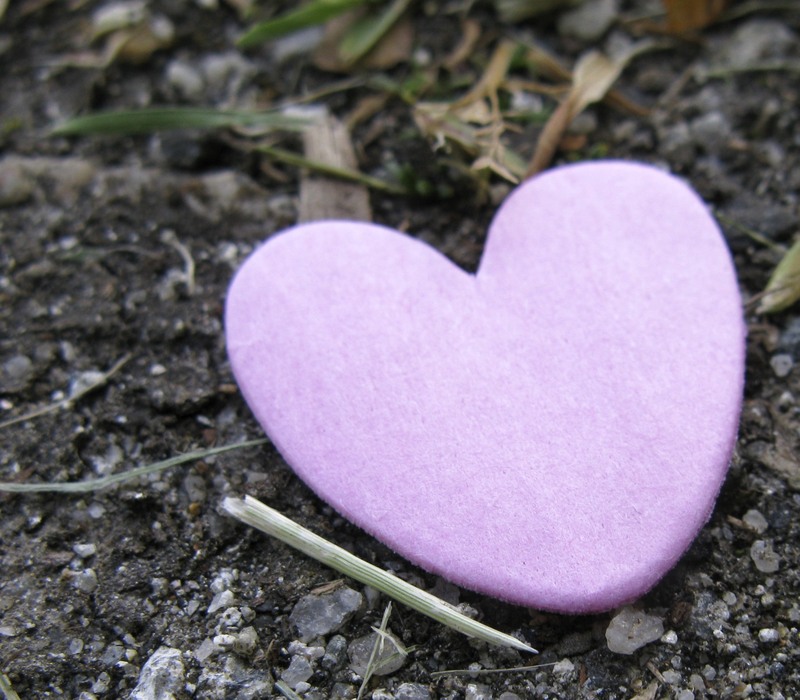 While searching through photographs of my daughter Miranda to find just the right one for today, I saw this tiny heart and thought how perfectly it illustrated what I want say. Today Miranda turns twenty-three and like the last two birthdays, she is doing it without me. She’ll have other people sharing her day who love and care for her, but I will miss seeing her make a wish as she blows out her candles and digs into her cake. I left a gift bag with presents and a card when I was in Atlanta last month and will hopefully have a moment to see her on iChat today, but I wish I could be there to give her a big squeeze and tell her I love her in person. Children grab onto your heart as soon as they make their way into the world and no one tells you how difficult it will be to let go after all the years of hanging on so tightly. I’m still learning how to negotiate this shift in our relationship and sometimes I stumble. Well able to navigate her own way through life now she doesn’t need much from me most days except perhaps the sense that I am here along the edges of her life like the well wishers at a wedding who while standing close enough to offer loving support are not the main focus. Last year and the one before I left a small scattering of heart stories about Miranda along with some early photographs that can be found here if you missed them. In rereading those birthday posts I see that my message hasn’t changed … it is still mostly about loving and learning to let go. Born four days after my own birthday, my birthday wishes while blowing out my candles have included thoughts of her health and happiness for the last twenty-three years. This year was no different. I sure hope all of my birthday wishes come true.